Where Do I Get My Protein without Animal Products? Yes, protein is an essential part of a balanced diet. But you certainly don’t need a high protein diet full of animal products to lose weight or be healthy. 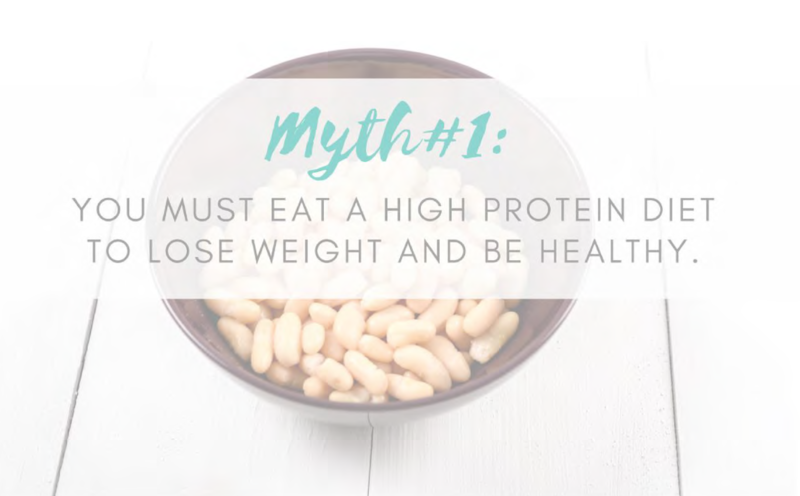 In fact, getting too much protein can actually be a detriment to your health long term, and if you live in the United States, you’re probably getting way too much of it. According to the World Health Organization, we need to obtain approximately 10%-11% of our daily calories from protein (up to 35% for extreme athletes which most of us are not). Guess what the average is? A whopping 35%! That’s more than double what the majority of us should be getting! A diet high in animal protein (which is often also high in fat) results in quick weight loss because our bodies must eliminate the uric acid and urea that comes with excess animal protein and fat. To do so, our bodies pump extra water into our kidneys and urinary tract to flush it out, acting as a diuretic and resulting in a loss of water weight. Another reason this diet tends to work for people outside of the initial loss of water weight is because people are eating less crap and more fruits and vegetables. 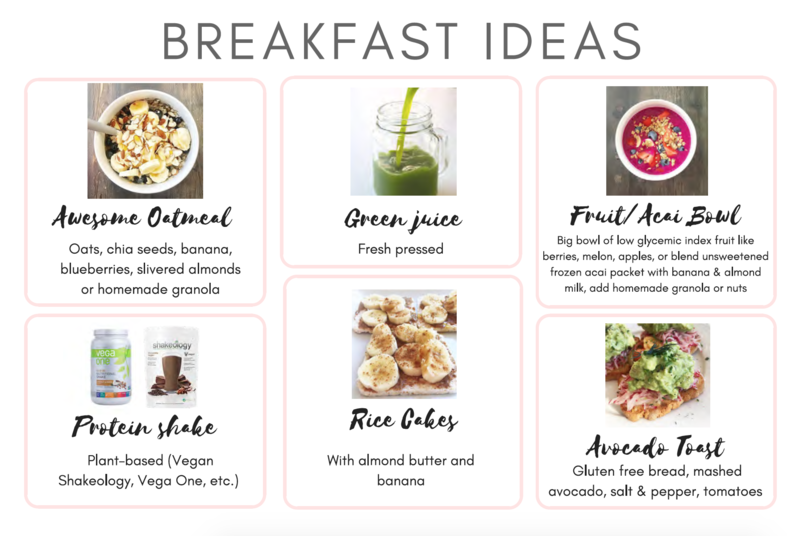 Paleo diets eliminate processed foods and sugar, which results in a higher consumption of whole foods - fruits, vegetables, whole grains, nuts and seeds - all of which are good for you and promote weight loss. So at least we’re on the right track here. However, most people are overlooking the effect a diet high in animal protein can have on your overall health long term. Not only can it elevate your LDL cholesterol and clog your arteries, but it puts strain on your organs - especially your kidneys and liver - having to process this excess protein. Diets high in animal protein lack fiber, which moves your food through your system. The longer your food sits and rots in your intestinal tract, the more toxins and crap your body absorbs into the bloodstream, resulting in a higher risk of sickness, disease and even cancer. Plus, this diuretic effect not only excretes water from your body to remove the uric acid and urea, but you’re also flushing out essential vitamins and minerals your body needs. Why put your body through this and potentially have a detrimental effect on your health when you could achieve lasting weight loss in a much healthier and more satisfying way? The same results can be achieved by consuming a balanced whole foods diet consisting mostly of fruits, vegetables, whole grains and legumes...all of which are highly nutritious without any of the negative side effects. Just food for thought. Even though you now know you probably don’t need as much protein as you thought, protein is still an important part of a balanced diet. 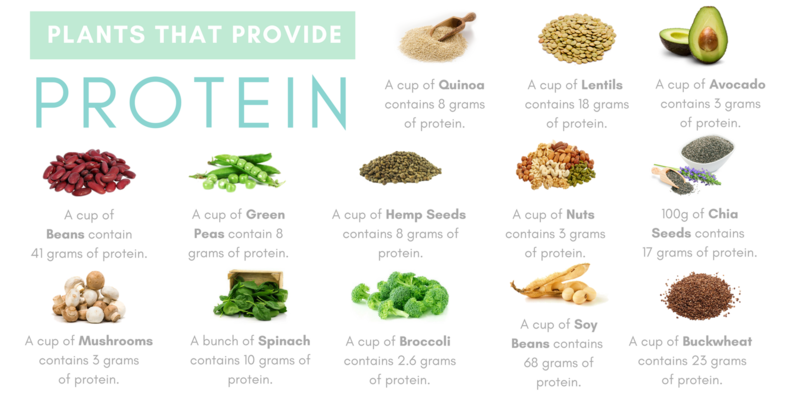 The number 1 question so many people have is, “If not from animal sources, where do you get your protein?” Here are some great sources! Won’t Carbs Make Me Fat? Ok carbs do make you fat...if you’re eating crap carbs. Of course you’ll gain weight and feel terrible if you’re eating carbohydrates consisting of processed foods and starches that spike your insulin and blood sugar like cakes, cookies, muffins, pretzels, chips, crackers and breads. Duh. But not all carbs are bad. We need carbs. They’re our body’s primary source of energy, and they also feed our brain by providing glucose. You know how when you’re really hungry and your blood sugar is low you get moody, foggy and have difficulty making decisions or focusing? That’s because your brain needs glucose. Without glucose, we die. So yeah, carbs are pretty frickin’ important! Carbs are not your enemy if you’re eating the right kind. If your carbohydrate intake consists of mostly fruits, vegetables, and whole unprocessed grains, all of which are also full of fiber, they will not only fill you up (due to the fiber and bulk) but also provide you with the energy you need while quickly passing through your body instead of being stored as fat. So beware of carbs that come in the form of processed foods (also often accompanied fat and sugar - not a good combination). These will make you fat. Instead, stick to fruits, vegetables and whole, unprocessed grains (think brown rice and quinoa), or starchy vegetables (like sweet potatoes, yams, etc., which will make you FIT. These foods are your friends, and they aid in weight loss. Nobody ever got fat from eating straight fruits and vegetables. 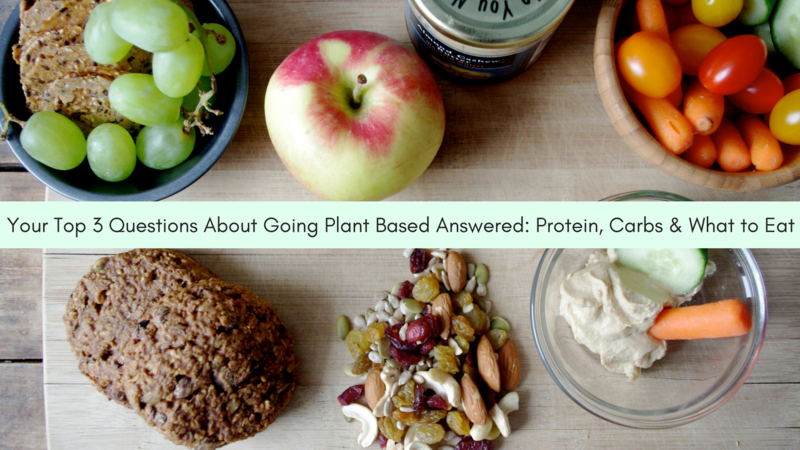 What do you eat on a plant based diet? Everything you’ve always eaten…just with a new, healthier spin! Following a plant based diet doesn’t mean your life now consists of nothing but green juice and boring salads. 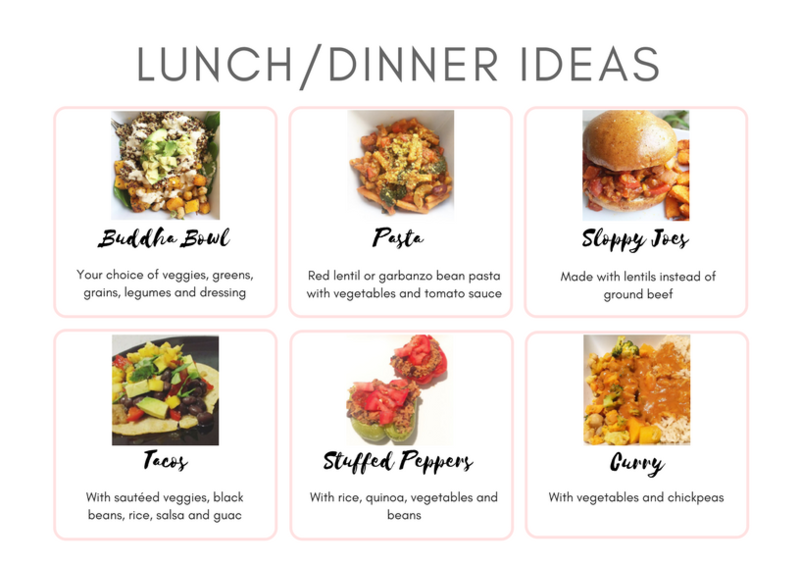 In fact, you can make just about any dish you love now plant based, and oftentimes, when people transition to a plant based diet, the range of different foods they incorporate only expands. Just Google plant based recipes or search some of these accounts on Instagram. You’ll find TONS of inspiration, and a recipe for just about anything! I hope this gets your creative juices flowing and helps you see that there is so much more to a plant based lifestyle than just boring vegetables. There's a ton of variety, and it's the best approach for healthy weight loss and optimal health overall. You'll love what you're eating, but even more importantly, you'll love how you look and FEEL! To learn more about making a transition to a plant based diet, just getting more whole foods in your diet overall, or living a holistic lifestyle, join me in my nutrition coaching program Plant Based & Practical! I'd love to help you on this journey and have you join our community of support!